SBI Clerk 2019 Vacancy:- Hello Friends, The State Bank of India announce the official notification to recruit 8653 Junior Associate Vacancy Notification 2019. Job Seekers who are waiting for the Bank Clerk Bharti 2019-20, they can apply the SBI Clerk Recruitment 2019. Candidates who have passed the eligibility parameters only they can apply successfully. So check the below given details. Applicants, We have a good news for you that the State Bank of India recruit qualified Junior Associate through the online examination. Candidates can fill the SBI Clerk Online Application Form 2019 before the closing date 3rd May. We have suggest to aspirants that they can visit the official site & Check the Eligibility Criteria of SBI Clerk Recruitment 2019. The SBI Online Application form has been start from 12th April 2019. The State Bank of India, being the largest public sector bank in India releases more than thousands of job vacancy once in a year. Generally, the SBI Probationary officers and Clerk recruitment’s take place once in a year. This is the time when SBI opens any of the post recruitment notice for the graduates across India. The complete information regarding the SBI Junior Associate Vacancy 2019 is given on its official portal or you can visit to our web page also. 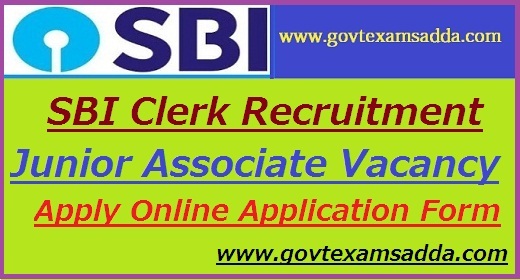 Applicants can apply for SBI Clerk Job 2019 through online mode after visiting the official site. SBI Clerk Selection Process will be based on exam which will conduct for final selection. The SBI Clerk Prelims examination will be conduct in June and main Examination will be conducted tentatively in August 2019. Candidates are informed that the SBI Clerk online Application form available on the home page. So apply for SBI Clerk Online Application form 2019. Candidates can check SBI Latest Jobs also. Candidates who are going to fill the SBI Assistant Professor Junior Associate Application form 2019, can make registration through online mode. Candidates are visit the official site & check the registration process also. State Bank of India discloses the application form 12th April 2019. Candidates who have satisfied the eligibility parameters can apply the SBI Clerk Online Application Form. Applicants must have passed Graduation in any discipline from a recognized university or any equivalent qualification recognized as such by the central government. Candidates have integrated Dual Degree (IDD) certificate should ensure that the date of passing the IDD. 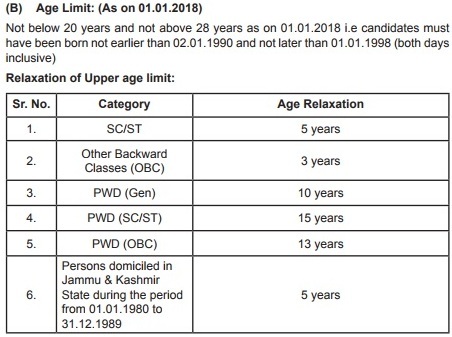 Candidates must have age not below 20 years and not above 28 years as on 01st Jan 2019. Applicants must have been born earlier than 2nd Jan, 1991 and not later than 01st Jan, 1997 (both days inclusive). Fee charges once paid will not be refunded on any account nor can it be held in reserve for any other examination or selection. Candidates will required to registration themselves online through Bank’s website https://bank.sbi/careers or https://ww.sbi.co.in/careers -recruitment for Junior Associates. Now applicants should first scan their photograph and signature as detailed under guidelines for scanning the photograph and signature. Fill the SBI Junior Associate Application form 2019 carefully. After filling the form, Recheck it. The candidates should download their SBI Junior Associate Prelims Admit Card 2019 by entering their registration number and password/ date of birth from the bank’s website. Applicants qualified for the main examination would be able to download their call letter from the bank’s website available from April 2019 (tentative). Note:- If any candidates have query or suggestion regarding SBI Clerk Recruitment 2019, Than they can comment us.